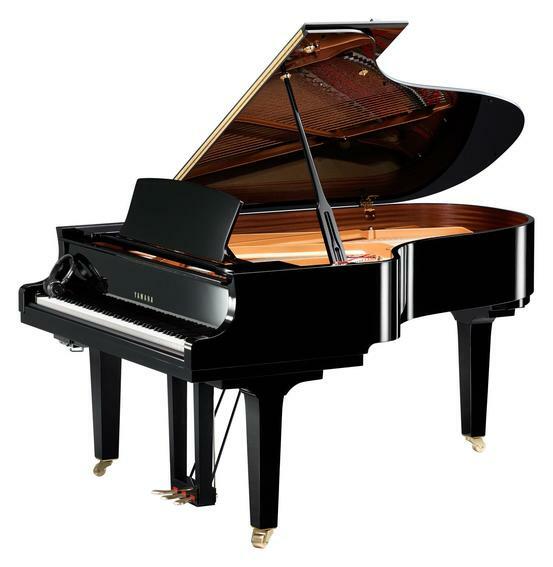 - For the first time ever the Silent Piano™ offers sound sampled from the Yamaha CFX full concert grand piano, supporting the beauty of its clear, vivid tones with the power of this renowned instrument. 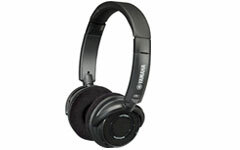 - Yamaha’s first model with binaural sampling system, enabling reproduction of natural and three-dimensional sound. 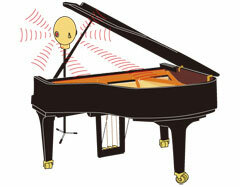 - When playing in "Silent" mode, the player feels as though the CFX sounds are coming directly from the piano. 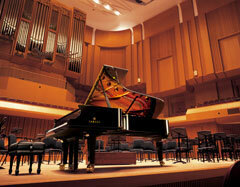 - The performance can be recorded in two different ways. 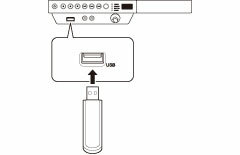 It can be recorded either directly to the built-in recorder of a piano, or to a USB audio recorder, in which case the data stored in USB flash memory in WAV format can be played on a PC as well. 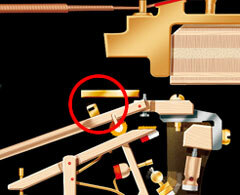 - Using a built-in recorder is more convenient if the players wish to listen to the recorded piece right away. It allows them to listen to the entire performance of a music piece or to go back and listen to a particular section of the piece. - Since performances are saved in WAV format with a USB audio recorder, they can be recorded onto CDs or played on portable music players. - The headphones that come exclusively with SH type pianos are designed in a way that minimizes the strain on users after long hours of playing. - This newly employed headphones contribute to the improvement of sound quality as well as to the reduction of fatigue during performance. 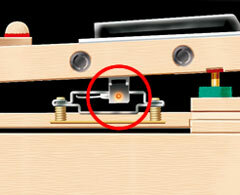 - Connecting SH type pianos to external devices such as sound source modules and music players (CD players etc.) via AUX IN terminals allows players to listen to the sound from these external devices on the headphones while they play the piano. 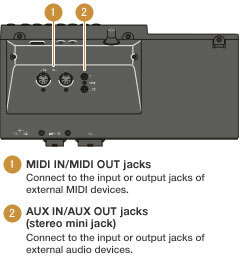 - Connecting MIDI devices such as synthesizers to SH type pianos via MIDI OUTPUT terminals allows players to transmit performance information to external devices for playback. - Connecting music sequencers to SH type pianos via MIDI IN terminals allows the players to receive and play back the performance information provided by the sequencers using the sound source of SH type pianos. 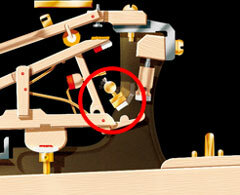 - Speaker output terminals have been newly added to the GM unit installed at the bottom of the tenor section of SH type pianos. 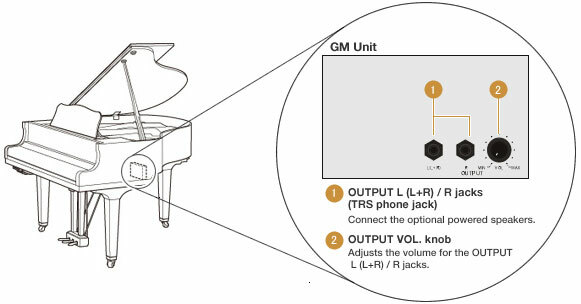 By connecting speakers equipped with built-in amplifiers to these output terminals, the performance conducted in "Silent" mode can be output through the speakers. - Speaker output terminals also support TRS phone jacks, which are highly noise-resistant and thus suitable for use in music performances, such as those on stages, that require long cables.